Craig Parker will return to bolster Boston Town’s squad as they host Desborough today. The defender’s two-game suspension is served and he will be a welcome sight in the dressing room for a Poachers team looking to end their three-game losing streak. After defeats to Sleaford, Harborough and Rothwell - by a solitary goal each time - Town are hoping to return to winning ways in the UCL Premier. 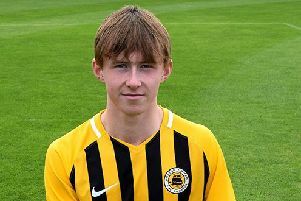 It is hoped Duran Reynolds will be available after picking up a knock at Sleaford on Boxing Day. Town sit 14th in the table with Desborough 11th.